Nostalgia time folks! 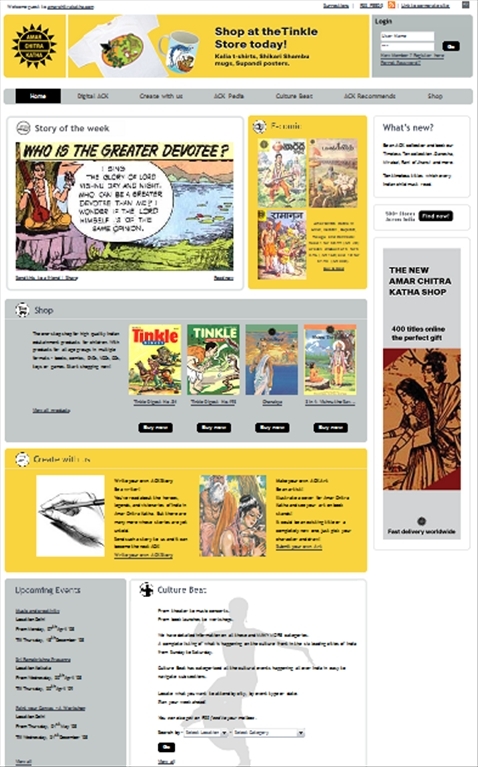 All those who grew up reading that lovely comic Amar Chitra Katha have cause to rejoice. Happened to chance upon ACK Media’s comic in it’s digital avatar along with a host of other offerings like free and paid digital comics, a wiki style information source, aptly called ACK Pedia. It is also possible to submit stories and artwork. I was intrigued by the thought of actually having the entire collection and hopped over to the link. Out of a total collection of 439 titles, they currently have 242 in print, along with 6 special issues (Valmiki’s Ramayana, Dasha Avatar, Jesus Christ, Bhagawat – The Krishna Avatar, Mahabharata (Set Of 3 Book’s) and Ram Charit Manasa).